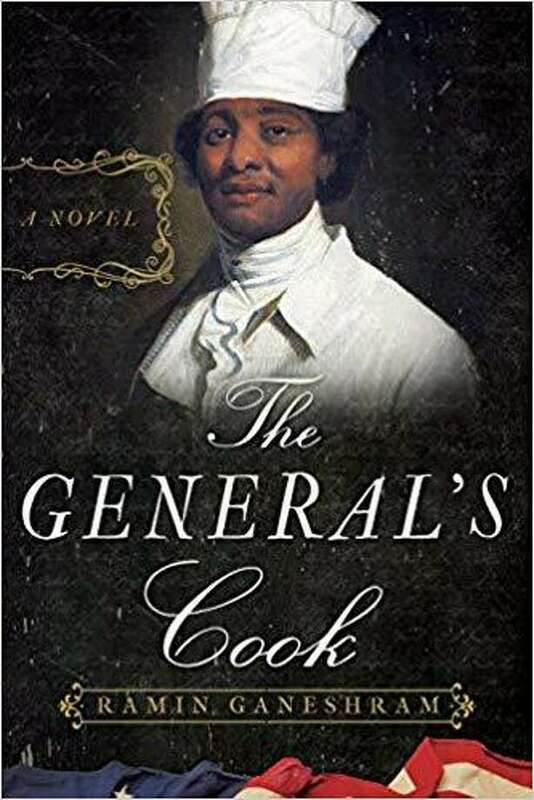 Fairfield Museum’s “History Bites” lunchtime lecture Wednesday, Feb. 20 at 12:30 p.m.
A few years later, in Philadelphia in 1793, Washington’s enslaved chef Hercules was a fixture on the Philadelphia scene. Ramin Ganeshram, executive director of the Westport Historical Society, will come to the Fairfield Museum on Wednesday to discuss Hercules and the recent book she wrote, The General’s Cook. Hercules was famous for both his culinary prowess and for ruling his kitchen like a commanding general. He had his run of the city and earned twice the salary of an average American workingman. He wore beautiful clothes and attended the theater. But while valued by Washington for his prowess in the kitchen and rewarded far over and above even white servants, Hercules was enslaved in a city where most black Americans were free. Even while he masterfully managed his kitchen and the lives of those in and around it, Hercules harbored secrets— including the fact that he was learning to read and that he was involved in a dangerous affair. Eventually Hercules’ carefully crafted intrigues fell apart and he found himself trapped by his circumstances and the will of George Washington. Learn more about this fascinating part of history at the Fairfield Museum’s “History Bites” lunchtime lecture Wednesday, Feb. 20 at 12:30 p.m. Attendees bring a bagged lunch and the Museum provides beverages and dessert. It is free for Museum members and a $5 donation is suggested for non-members. For more information visit Fairfieldhistory.org or call (203) 259-1598. The Fairfield Museum & History Center and Museum Shop, located at 370 Beach Road, is open seven days a week, 10 a.m.-4 p.m. Members of the Museum and children under 5 are admitted free. For more information, call 203-259-1598 or visit Fairfieldhistory.org. The Fairfield Museum relies on funding from individuals, corporations and foundations.